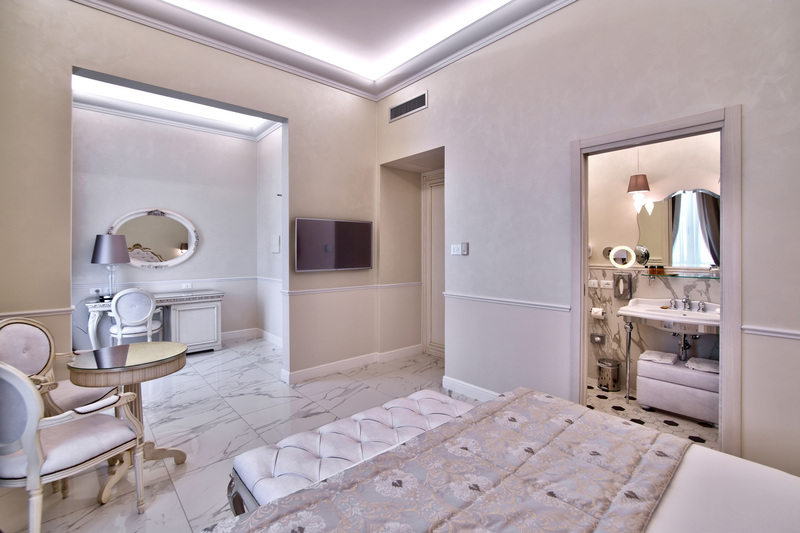 At The Moon Boutique Hotel & SPA you will feel at home, surrounded by a comfortable and relaxing setting and pampered by a friendly and corteous staff, ready to help you and assist you in every request. 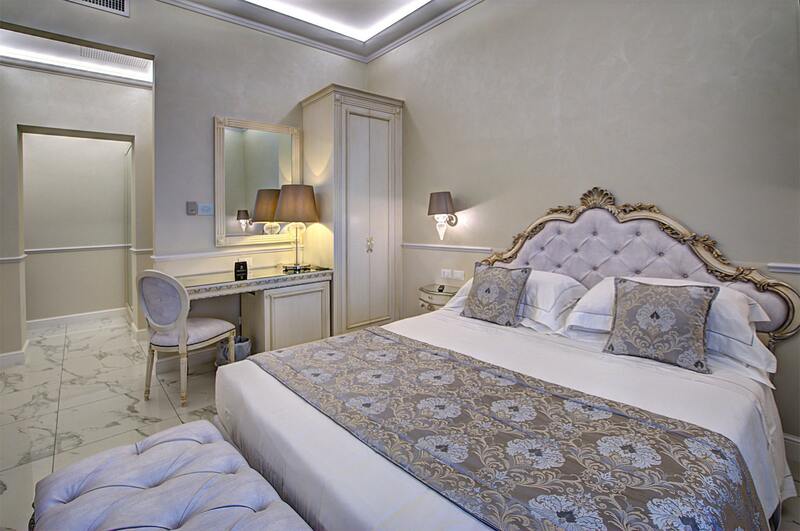 23 rooms where eclectic style and refinement combine perfectly, offering a stay of total well-being and exclusive comforts such as Queen size double beds, rain showers, free minibar starting from Superior room, free wifi, smart TV, cotton satin and much more. 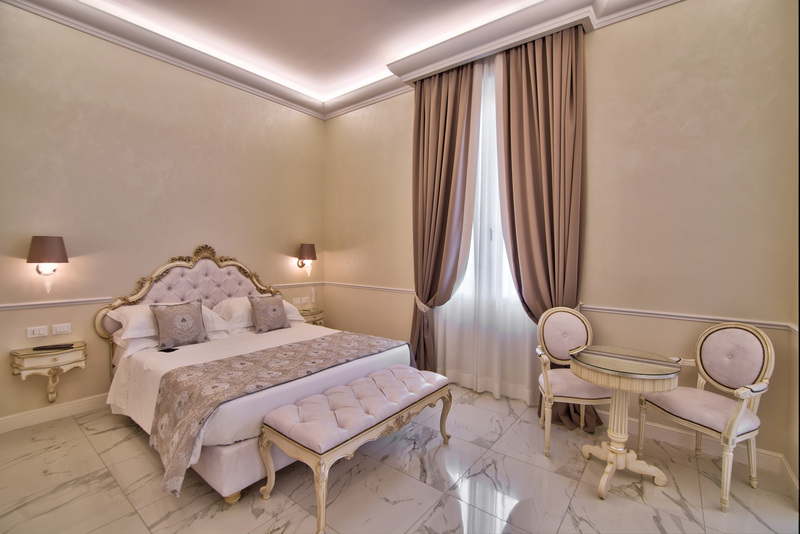 Elegantly furnished, the Classic room is the ideal solution for those seeking comfort and elegance. 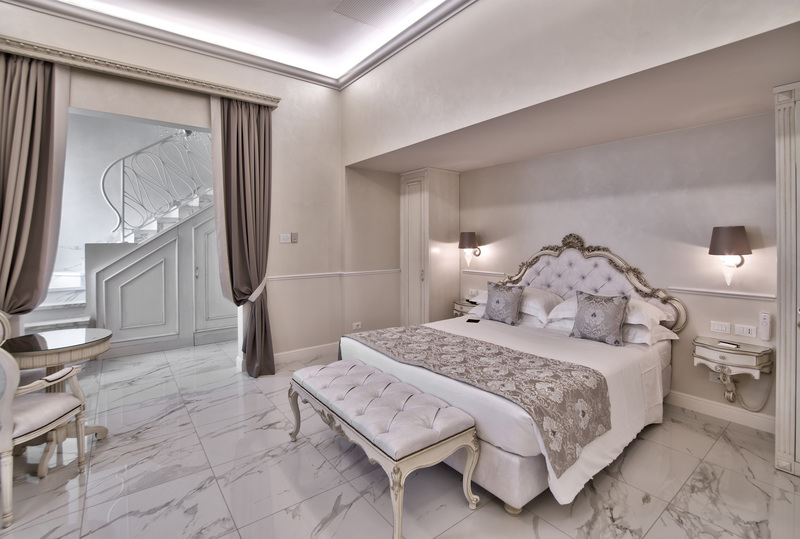 Completely soundproofed and with a view of the internal courtyard, the Classic room has a Queen Size bed and Carrara marble effect grest upholstery. The bathroom has a rain shower and toiletries. 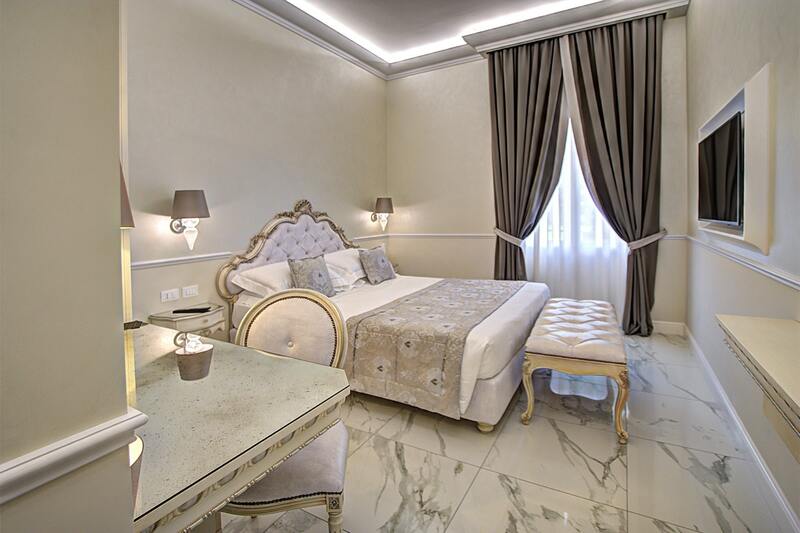 An elegant and refined design combines perfectly with the comfort of a large room equipped with a Queen-size bed, a desk and soundproof walls that guarantee an extremely restful stay. 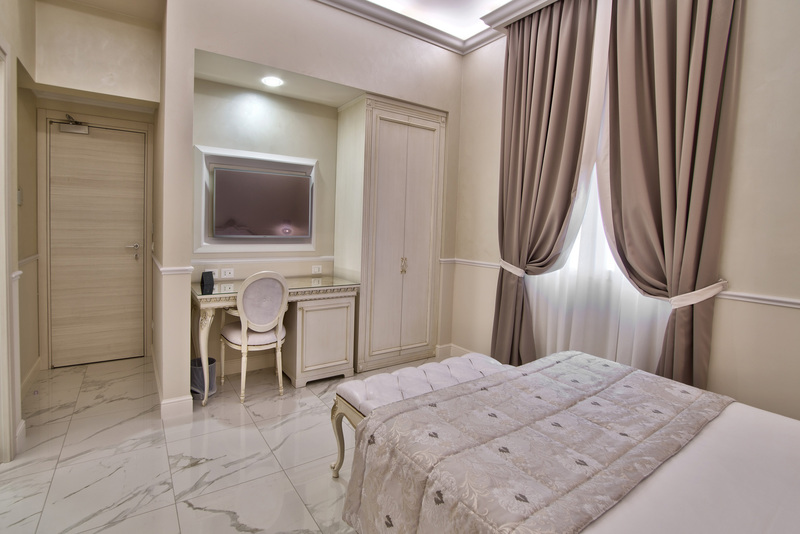 The Superior Room offers exclusive amenities such as tea and coffee making facilities and plush bathrobes. The bathroom has a rain shower and toiletries. 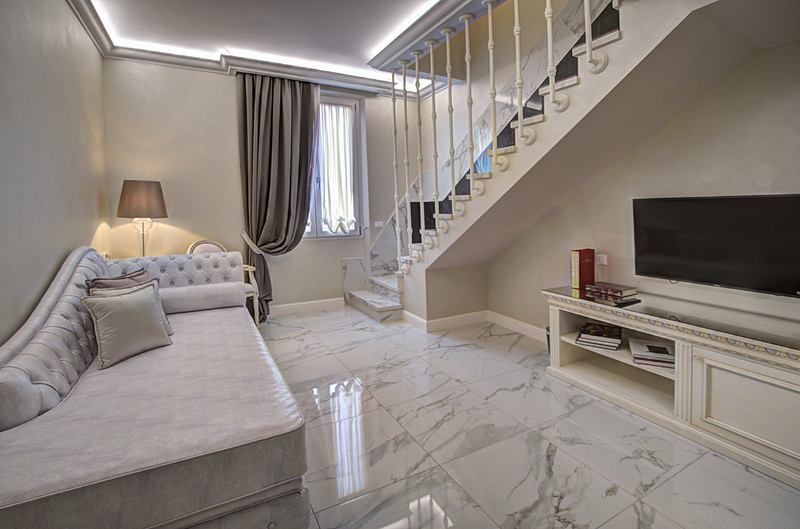 Large and bright spaces, modern and sophisticated design, high quality services. The Deluxe Room is the perfect choice for a stay of wellness and relaxation, thanks to Queen size beds with refined cotton satin bedding, a large desk and completely soundproof walls. 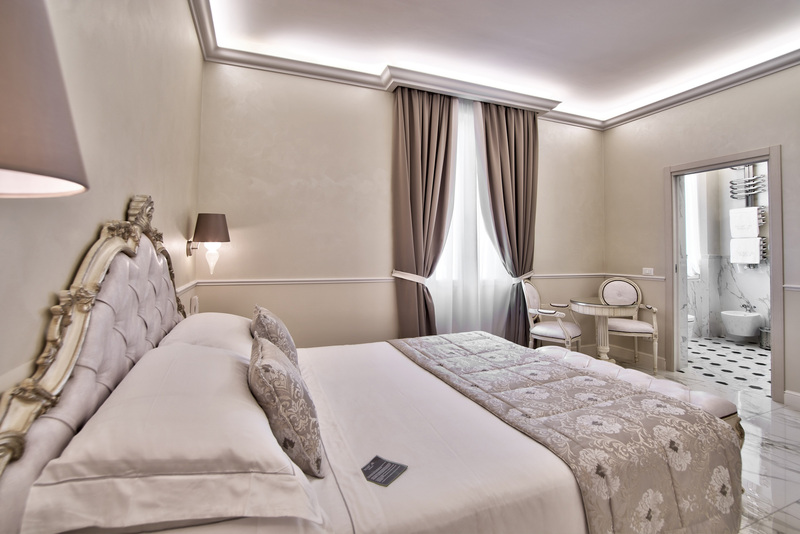 Some Deluxe rooms have a panoramic view of the beautiful hills surrounding Florence. 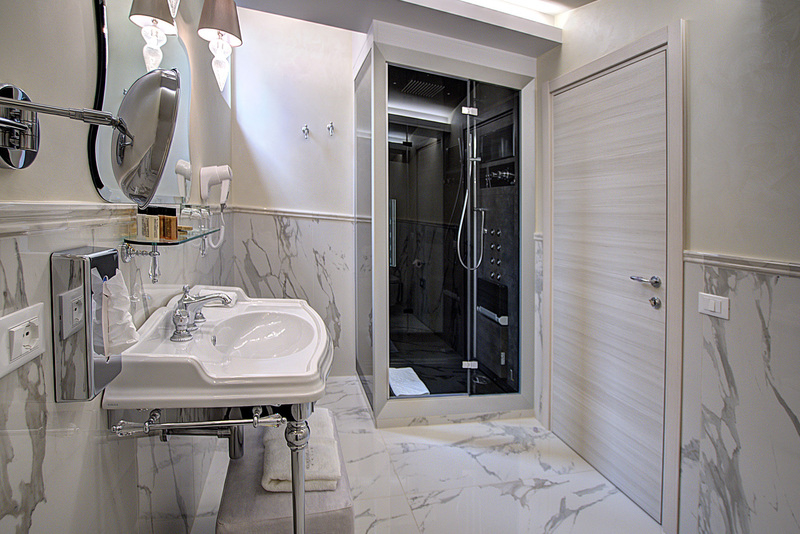 The bathroom has a rain shower and toiletries. Upon arrival you will find a box of handmade biscuits in your room as a welcome gift. 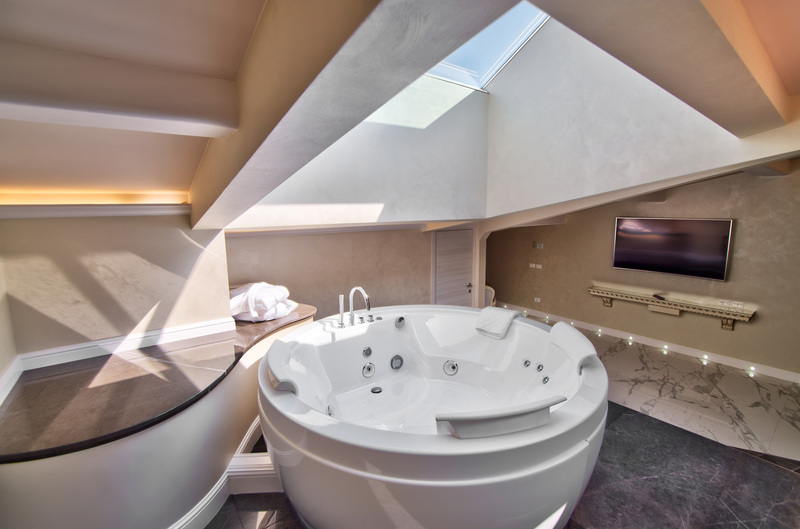 Luxury and comfort come together in our Junior Suite, a large and bright room, equipped with a Jacuzzi shower for a complete wellness holiday. 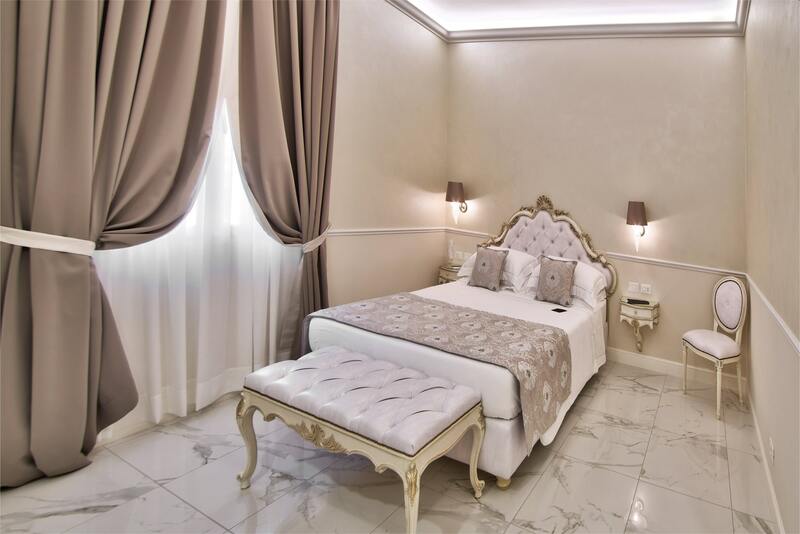 Sophisticated furnishings, light tones and minimal design characterize this beautiful double room, with queen size bed, soundproof walls and high quality services. Upon your arrival you will find a fresh fruit basket and a box of traditional Tuscan biscuits as a welcome gift in your room. 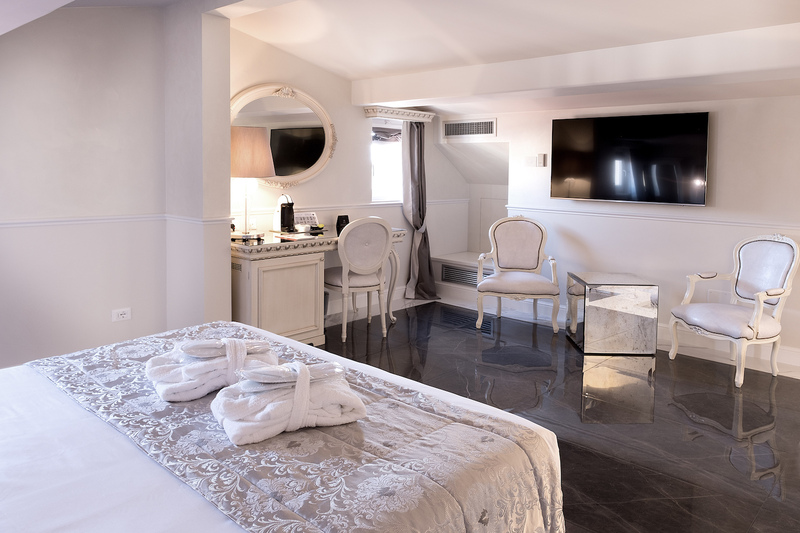 For those who do not want to give up spaces, luxury and maximum comfort, the Junior Suite Balcony is the perfect choice for a romantic stay in the magical city of Florence. 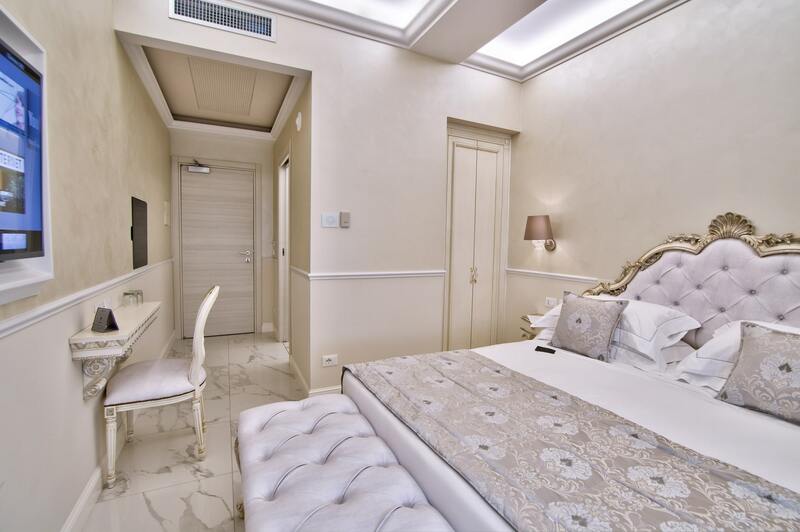 Featuring an elegant private balcony overlooking Viale Fratelli Rosselli, the Opera House and the unmistakable Tuscan hills, this room also has a Jacuzzi shower and a spacious bathroom. Upon your arrival you will find a fresh fruit basket and a box of traditional Tuscan biscuits as a welcome gift in your room. 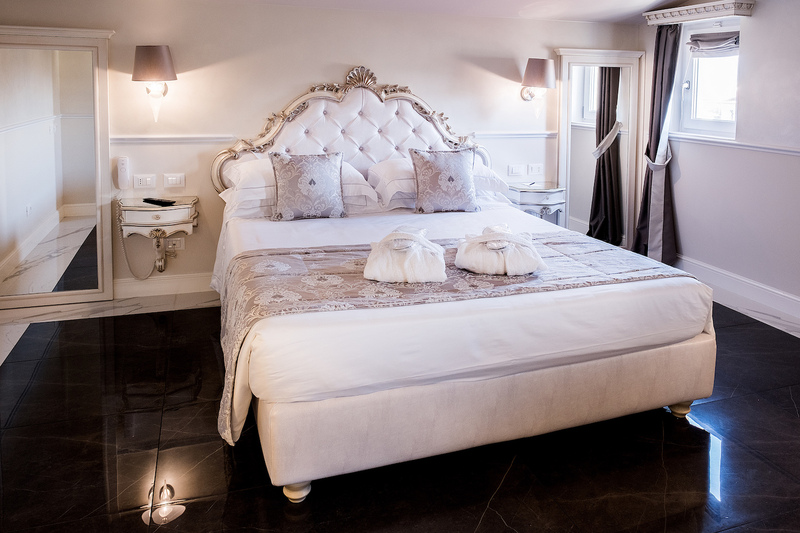 Ideal for those traveling with friends or family, the Suite Executive is on two levels and offers a comfortable sofa bed wirh a a small bathroom on the ground floor and double bed with a large bathroom featuring a Jacuzzi shower on the upper floor. 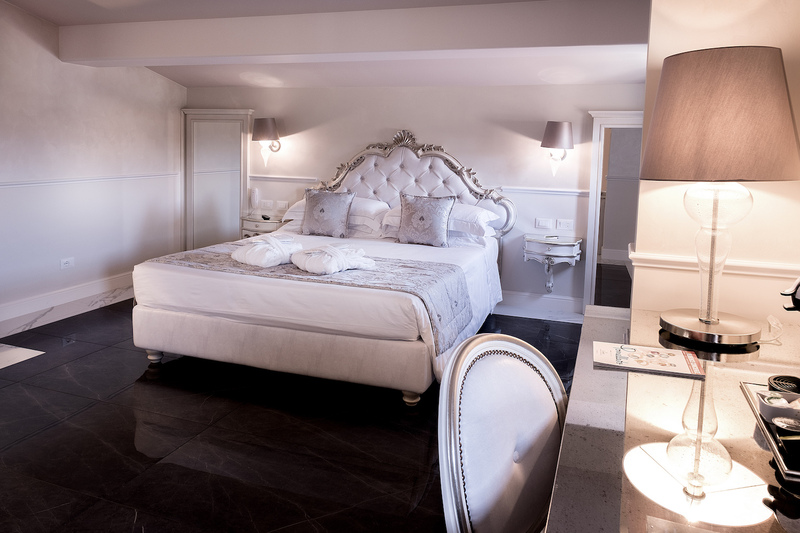 Upon your arrival you will find a fresh fruit basket with Prosecco and a box of traditional Tuscan biscuits as welcome gifts in your room. 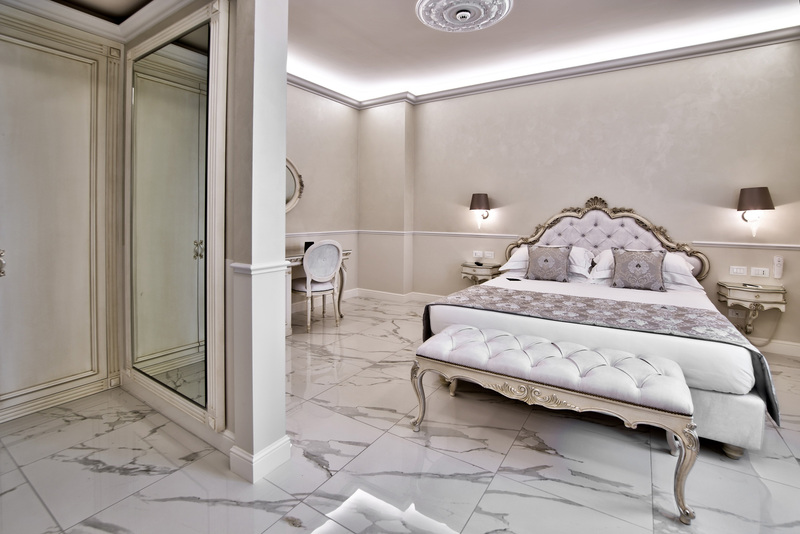 For a dream vacation, The Moon Suite Deluxe is a luxurious and romantic split-level room, finely furnished and equipped with exclusive amenities. On the ground floor a pleasant bedroom with a double bed and small bathroom. 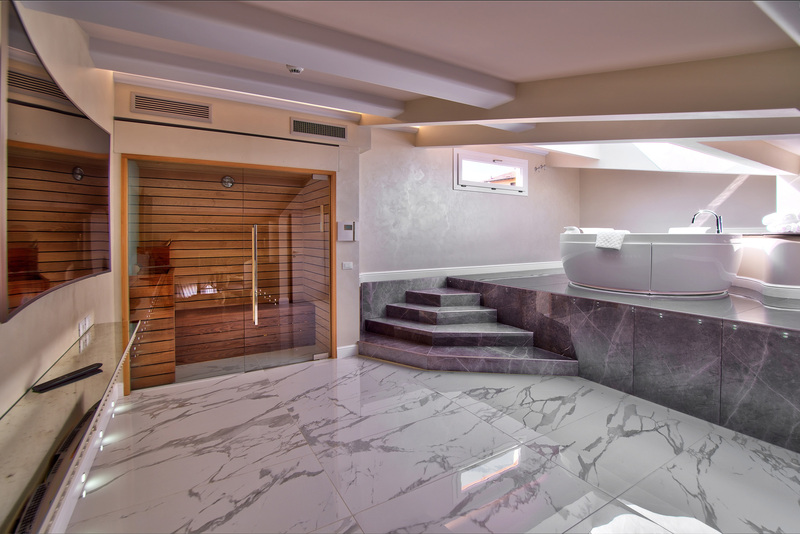 Upstairs, a magnificent Jacuzzi tub with a view of the stars, private sauna and bathroom with Jacuzzi rain shower. 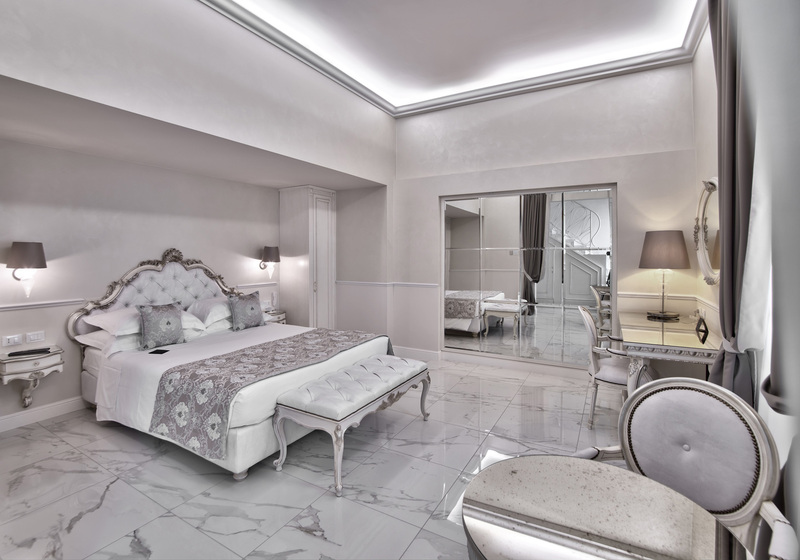 To crown the dream of those who will stay in our Deluxe Suite, a romantic welcome with fresh Strawberries & Prosecco “The Moon”.